Just Another Day...: Another Big Day! 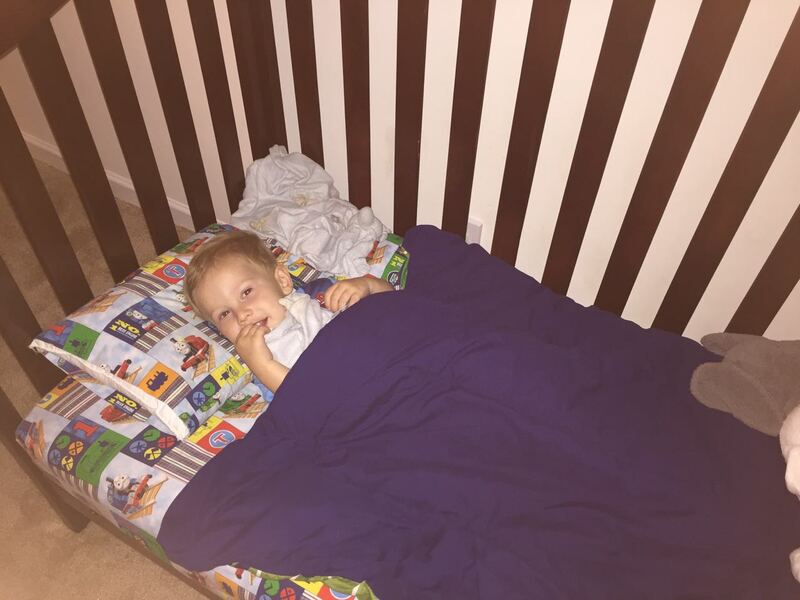 So for whatever reason, last night, right before the kids' bedtime, I thought it'd be fun to convert E's crib to a toddler bed. I don't know what it was that made me think he was ready. But I decided it. And it was so. I had hubs take the front rail off before I brought E in for bedtime. 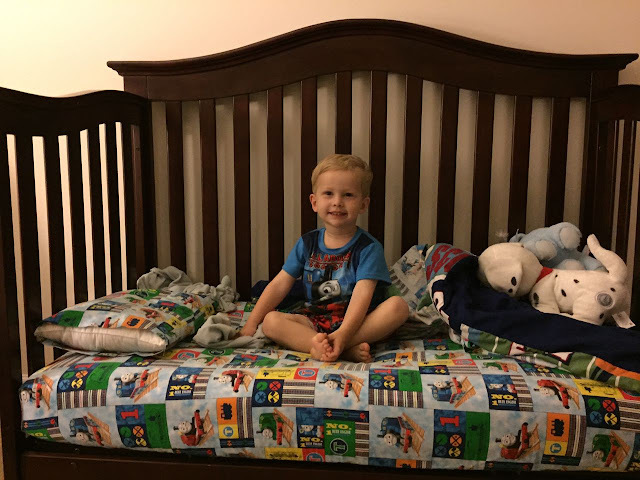 He was pretty excited when he saw his bed and climbed right in! We went through our usual bedtime routine of a book, prayers, and a few precious moments of rocking, only this time allowing him to get into bed himself, and called it a night! We weren't too sure what to expect. However, just like his siblings before him, he had a perfectly restful night! He didn't get out of his bed a single time! And get this -- the boy slept until just after 10AM! Bless him! I can tell you with certainty and gratefulness that mommy may have just slept in 'til 10AM this morning, too! WIN! I was super proud with how the nighttime went down, but was curious to see how he'd handle nap time today. BLOWN. AWAY. 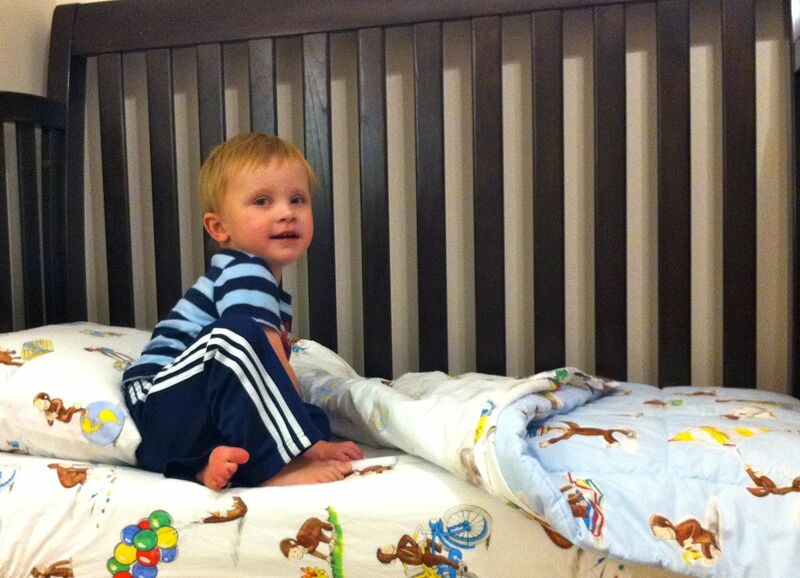 The kid got up one time right after I left, just to grab a book, and climbed back into his bed. He then proceeded to rest... for 2 1/2 hours. Quite honestly, I'm not sure why I'm so shocked by all of this. 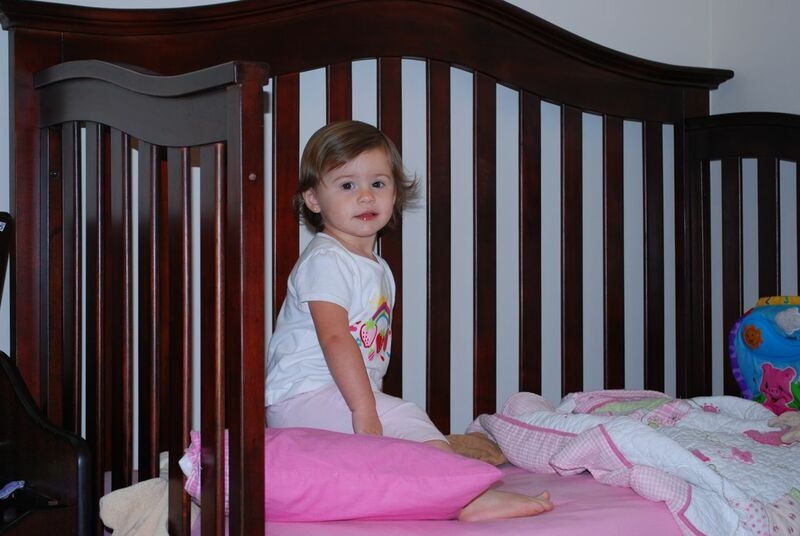 It's exactly how LO and Chase handled the freedom of toddler beds.